I first and foremost would like to wish all of my American Friends a VERY HAPPY THANKSGIVING. In light of the fact that this week is a biggie in the U.S. I will not be holding a Fertilizer Friday this week. I wish you all a wonderful holiday filled with food, family and friends. I hope you are not disappointed...but relieved...as you all are going to be so full from the holiday feast that you won't have the energy to get out, feed, shoot and post! 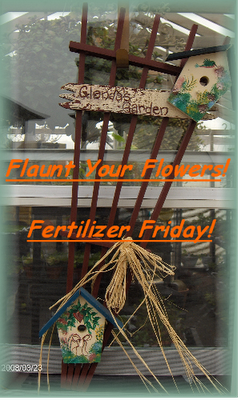 Fertilizer Friday will resume as normally scheduled next Friday...Dec 4...same time, same place, same meme!